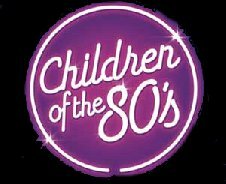 The Hard Rock Hotel let’s you party like it’s 1987 all over again with their Children of the 80’s party. An era famed for his neon fashion in the shape of shell suits, body suits and headbands (Jane Fonda style), Fridays at the Hard Rock Hotel are a true blast from the past! With music from some the most well-loved artists from the 80s like Barbara Tucker, Alice DJ, Village People, Technotronic, Ultra Naté, Soul II Soul, Snap!, Crystal Waters, London Beat, Rozalla, and London Beat; Children of the 80’s is a chance for you to don a pair of shoulder pads, leg warmers, a neon jumpsuit and party in the sunshine from 19:00 at one of Playa D’en Bossa’s most exclusive venues.